Xiaomi has started rolling out MIUI 9 Global Beta ROM for the third batch of supported devices. The update brings Android 7.0 Nougat features like split-screen multitasking and enhanced battery life. Xiaomi has started rolling out MIUI 9 beta update for the third batch of Mi and Redmi series of smartphones. In the first batch, Xiaomi offered MIUI 9 Global Beta to a handful of devices and it broadened the compatibility to add more devices in the second batch of the update. The company has now started rolling out the update to the third batch of devices, covering almost all the devices in its lineup. The MIUI 9 Global Beta ROM is now available for a range of Mi and Redmi devices including its flagship Mi 6, Mi 5X, Redmi Note 4X, Redmi Note 4 (Snapdragon), Mi Mix, Mi Note 2, Mi 5, Mi 5s, Mi 5s Plus, Mi 5c, Mi Max 2, Mi Max, Mi 4s, Mi 4c, Mi Note, Redmi 4X among others. The company is also making a separate China Beta ROM available for select devices in its home market. Xiaomi has posted download links for MIUI 9 Global Beta ROM on the company's MIUI forum and it also includes instructions on how to upgrade using fast boot flash or OTA update methods. To recall, Xiaomi had announced MIUI 9 alongside Mi 5X in July and had detailed plans to roll out the update to all its devices. The new version of Xiaomi's custom-skin is based on Android 7.0 Nougat and offers support for split-screen multitasking and enhanced battery life using Doze on the go. The update also enhances user experience with new features like Image Search, Smart app launcher and Smart Assistant for the Chinese market. Xiaomi plans to bring these features to other markets in the coming months. Xiaomi's retail partner Flipkart had confirmed that the MIUI 9 update will be rolled out to the company's Redmi Note 4 smartphone in India. 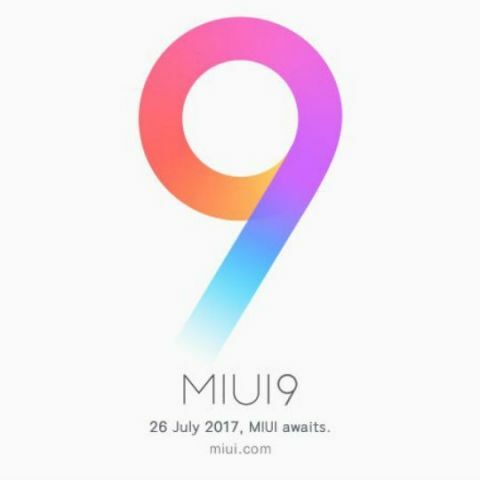 The MIUI 9 Global Beta is already available for the device and Redmi 4 is also likely to get the update soon.